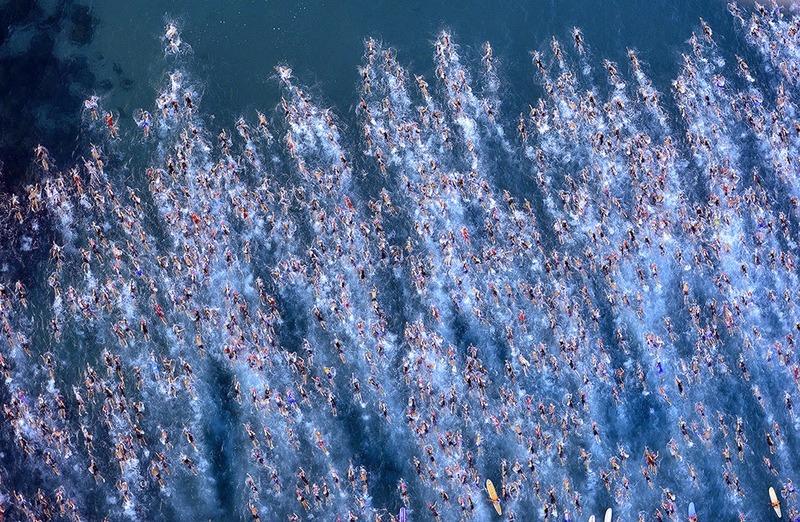 Simone: A Stellar Race At Kona ~ Feel For The Water! Advice & Tips to Improve Your Swimming. Let us know if you raced and how you got on in the comments section below… by all accounts it was a very tough swim this year! Swim Smooth Coach Julian Nagi was out in Kona with his athlete Simone Dailey to see her stellar race performance, we asked Julian to describe how he had developed her swimming and turned her into such a phenomenal all round athlete (who set the fastest overall age-group bike split despite doing all her bike training on an indoor trainer!). And yet in Kona this year she swam 1:03:18, just 3 minutes slower than the professional race winner, Mirinda Carfrae! How did she make those improvements and become such a phenomenal triathlete? Simone’s coach (and London based Swim Smooth Certified Coach) Julian Nagi gives us the full story below. Julian and Simone celebrating at the awards party. My first observations of Simone’s stroke when she did her first swim video analysis session with me back in 2012 were that she physically but not technically gifted. She had a huge amount of power to put down but it was all directed in completely the wrong way. But there was something about the stroke that told me if she could harness her power in the right way she could be a phenomenally strong open water swimmer one day. I could sense she had a natural feel for the water that could be developed with the right drills. I knew it would be a case of slowly unpicking the faults in the right order to build her confidence and technical ability. At that time she had no confidence in her swim at all and it all felt like just one big battle each time she got in the pool. Everything was misaligned and our number one goal was straighten everything out. First off we had to work on the leg kick, the asymmetrical breast-stroke leg kick was quite an eye opener for her when she saw it on video. The leg kick was creating significant drag, so our first goal was to straighten out the legs but also to get her kicking from the glutes not the knees. To do this we used the classic torpedo kicking exercises to help her engage her kicking muscles in the right way. We also made considerable use of fins and a snorkel to help her develop the right kicking motor patterns. Next up was her alignment as she was crossing over in front of the head making her "wiggle" down the pool with way too much lateral sway. We took a two-pronged attack to this, firstly we developed the higher straighter arm recovery using a variation of the water polo drill. This helped her no end in placing her arm straight into the water in-line with the shoulder rather than across the midline of the body. We also used the Finis Freestyler alignment hand paddles to get her pointing her hands forwards rather than inwards, visualising two track lines extending down the pool from her shoulder line. With the above in place she was then in a great position to develop her catch and pull through. Her arms were very straight while pulling through under the water, this was overloading her shoulder muscles leading to early fatigue. The drills we used to help develop her catch and pull were Scull #1 and #2, which really helped increase her feel for the water. Later in development we introduced resistance hand paddles, she responded to them instantly from both a technical and feel point of view. This helped ingrain good pulling pathways. Julian and Simone working together in the pool. Hawaii really is a long long way away. It took 2 flights and nearly 21 hours to get out there, then another 3 flights and 20 hours to get back. In that time I’ve had an enormous amount of time to reflect on what I was expecting out there and then more importantly on the way back I could reflect on whether it all lived up to my expectations. I also wanted to come back with a more in depth knowledge base of what exactly it takes for an athlete to do well out there. 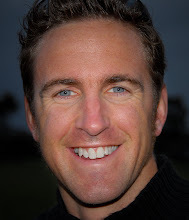 I needed to live and breathe the course to help unravel its secrets for the athletes I coach. 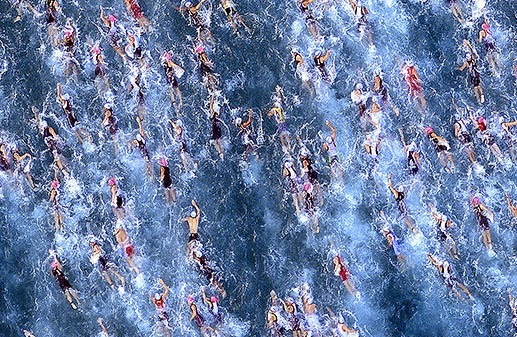 You see for many the Ironman World Championships is the pinnacle of our sport, its where it all started back in 1978. I remember as a young boy watching Mark Allen race against Dave Scott through the lava fields on Trans world sport thinking these guys are absolutely crazy, thinking I myself would never dream of doing that in a million years. Hawaii has always had that mystical, spiritual, magical status in my eyes. This mainly stemmed from the amazing battles I read about in the 1980's and the stunning almost brutal location in which it was set. The famous lava fields, heat, humidity and wind all serve to make it a race like no other. It didn’t disappoint, from the moment we arrived I felt like we were in a very special place. My experience was made all the more special because I came to support one of my athletes that I have coached for 3 years - Simone Dailey, who qualified at Ironman Los Cabos in Mexico earlier this year. She’s a very special athlete and we’ve been on an amazing journey together these past few years. When she came to me she was a complete triathlon novice. The first time I saw her swim she had front crawl arms with breastroke leg kick, to this day I’ve never seen anything quite like it. How she moved forwards was a mystery and by her own emission she had no swim background at all. She had also never been on a bike other than to commute. That being said I saw something in her that made her made her stand out, it was her physicality, work ethic and focused determination that seemed to set her apart. Something inside me just told me that this girl had what it takes. I had a very rough tough diamond in front of me and my personal coaching challenge was to allow her raw talent to blossom. Firstly we ignored the Kona "hype", with so many A-type triathletes in one small location it’s easy to get overawed by the occasion. Over the years I have seen athletes who have failed miserably because they’ve built the race up to be something bigger than it actually is. I’ve always lived by the J.A.R principle with my athletes in regards to big races - its "Just Another Race" and will be treated as such, just because it has a World Championship stamp doesn't mean you do anything different. With social media serving to stir things up there is virtually nowhere an athlete or coach can escape the media buzz and hype that surrounds the race resulting in a lot of highly pumped up testosterone fuelled athletes. This can be a good thing when directed in the right way but often this isn't the case and athletes end up racing like headless chickens out there leading to poor performances and disappointment. You need to respect the course because if you don’t it can bite like no other. There's also nothing like the pressure an athlete feels just walking around seeing the tanned sculpted bodies walking around Kona. There are also many distractions like the underpants run and the pasta party, and plenty of opportunity to listen to every man and his dog talk to you about their race strategy and training. We chose to avoid all of this, staying 25miles out of town just so we could focus purely on creating our own environment that would put Simone in her own head space and no one else's. We were there to do a job so took the weeklong preparation very seriously and did what we feel we needed to do. This worked like a dream, we came into Kona once or twice just to register, do a practice swim and look at the expo and then got out of there into our own little training world. I’ve never seen her more calm and focused going into a race like this, we had the bike course on our doorstep so it was basically train, eat, recover, and repeat each day. We also avoided all of the training hotspots and found our own parts of the course where we could run through race strategy, pacing and execution. This imprinted the strategy and pace into Simone's mind so it became second nature when she was out on the course race day. Whilst out training together I questioned her a lot about what she was thinking until she gave me the answers I wanted to hear (she would call it nagging) much to her annoyance. It was my way of brainwashing her so at any point in the race she knew what she should be thinking about to get the best out of herself, you simply cant afford to switch off on a course like this. By the end of the week training she was answering my questions with an immediacy that told me she was ready for anything for anything that was thrown at her on race day. Sea swims are always notoriously difficult to judge because you never know what conditions you will get on the day. 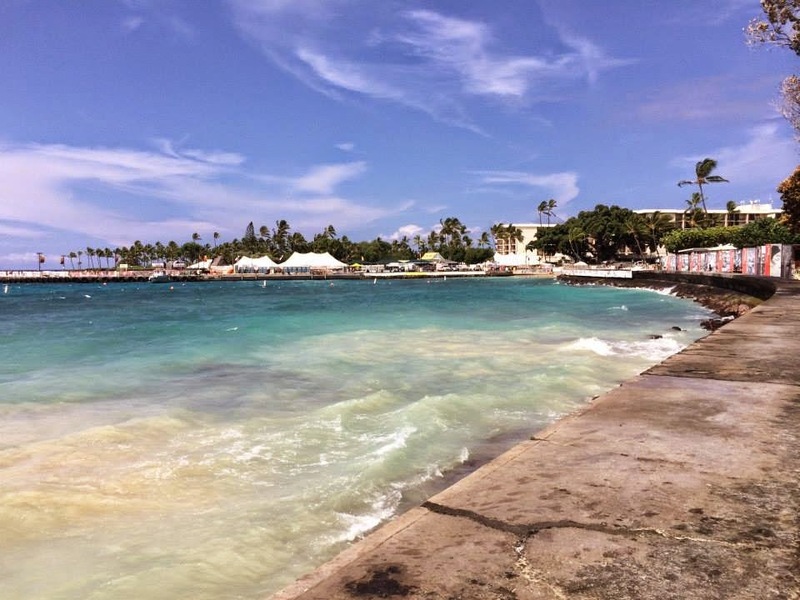 Hawaii is a non-wetsuit swim, which considerably favor’s the stronger more confident swimmers. It also suits swimmers who can navigate and draft well as you can get pulled off course easily due to the currents and swell. This is a swim that suits a higher rhythmic stroke rate, which will help cut through any chop. Typically on the day I saw stroke rates that were anywhere from 80-100 SPM for the faster swimmers. In the build up to the race we focused on what I call "high cadence - light gear swimming" due to the expected choppy conditions, we also developed her swinging style of stroke from the first year of working together which perfectly suited the choppy conditions. This has made her a formidable open water swimmer with an Ironman wetsuit PB swim of 57mins. Ideally the turnover here needs to be flowing and rhythmical but the force production is kept to a moderate level so the shoulders don’t feel like they are about to explode (a comment I’ve heard from many swimmers who have done Hawaii over the years who have started too fast). We also focused mainly on critical swim speed training, red mist type endurance sessions, Ironman paced sessions and we topped that off with plenty of short - fast sprint work to cover all bases for the swim. Due to the considerable movement of the water you also need to be physically strong to hold your position. We incorporated quite a lot of paddle work into Simone's training to strengthen her shoulders, lats and chest to cope with this. She's a powerful athlete with a strong upper body so absolutely loves working with paddles. This made her so strong that she didn’t really feel too much movement of the water and she managed to finish the non-wetsuit swim in 1hour 3mins, not bad considering she could barely swim 3 years ago. This placed her in 8th position in her age group and only 3 mins behind the winner Miranda Carfrae. What also really helped was the amazing HUUB SKN-1 Swimskin, which we tested in the weeks leading up to the race. She was very comfortable wearing it and faster which is the perfect combination. During her first sea swim out there it was an incredibly choppy day, she got in and literally flew through the water wearing it much to my amazement as other swimmers were being pulled in all sorts of directions. This was a huge confidence boost for her. The pacing strategy for a swim like this doesn’t need to be complicated. We planned to start just above race pace for 250m from the front left starting position (to avoid congested inside right line) then change down gear to race pace until getting back onto the racing line at the first turn. This was practiced time and time again in the training so her body was used to the faster start, thereby reducing the energy cost in the race, she also developed a deep understanding of what was too fast and what was just enough to be able to recover quickly from. As soon as he made the pace change the plan was to draft and sight frequently. The plan was to sight was every 5-6 strokes as it’s just too easy to swim offline when the water is moving so much. Once out of the frantic start her plan was to find a good rhythm and flow, swim in a straight line, draft when possible and keep it that way to the swim exit to T1. To do well on this bike course you need certain attributes. You need to have a strong comfortable aero position, you need to be physically strong to control the bike in the cross winds (a few smaller ladies were actually blown off their bikes). You need to be able to embrace the wind not fear it, you also need to be able to hold back and pace the first 56miles and cycle within yourself by sticking to your pacing strategy. Way too many athletes seem to get caught up in the moment and go too hard then die a death in the second half of the bike or when they get onto the run. The smart athletes are the ones that embrace this, control their power and are still running well at the end. Our plan was simple to keep things smooth and relaxed to Hawi (the turn around point) with strictly no fireworks, then cycle strong but controlled all the way back along the Queen K highway to T2 in Kona where winds tend to be more in your favor. Simone paced this beautifully until she crashed into the back of a male age grouper and went flying over her handle bars. This locked her out of her big chain ring so she had 56miles with much less power than she wanted. Amazingly she still posted the fastest female amateur bike split of the day - 5hours 13mins. This was also the 19th fastest bike split of the day including the top 35 female pros in the world. The only unfortunate thing was due to the loss of big gearing she had to over spin her legs at extremely high cadences to maintain any kind of momentum on the down hills which impacted her legs for the run. We worked extensively this year on strength and power development on the bike, Simone also does a huge amount of strength work for her abs, hips, glutes that gave her so much power and stability in the wind. Before every session in Hawaii she would do 30mins minimum of activation and mobility work on these areas. Sometimes people wonder what the marginal gains are that make an athlete great and this was the perfect example. She also did a lot of big gear work at both moderate and high intensity all with the Kona winds in mind to strengthen her legs. She also did all of her bike training on an indoor Watt bike, which might surprise a few (yes she biked the fastest female age group bike of the day with all indoor bike work), including her long rides. She has the unique ability and mental toughness to do this, she knows she wont get the quality she desires spending an hour cycling out of the London traffic before you get into a good rhythm and then fight your way back through the traffic once again. We wanted quality and intensity with no interruptions so the Watt bike became her weapon of choice. These sessions were tough and long but all designed to re-create the demands of Hawaii bike course. In the build up and on race day she cycled through the winds like they weren’t even there. Now this is where the race gets really tough, mainly because the heat and humidity are at their highest levels. If youve done anything that is too far over your bike race pace up until this point it could be a very long day. The run is undulating and relentless, it was even tough just standing there supporting ! This gave me a respect for all the athletes out there that i couldnt have imagined. Somehow they just kept going while I was melting roadside. The structure to Simone's run training this year was simple, try to optimise her endurance run speed without getting injured. After an injury prone 2nd year we managed to find the right balance. This consisted of 1 x long endurance negative split run, 1 x track session at a very controlled but progressive 10k pace 1 x brick run at race pace and 1 x easy brick run. This worked like a dream and we had a whole year of progression and consistency, she was definitely in the best run shape she's ever been and the numbers showed it. Unfortunately 2 weeks out a knee injury appeared from nowhere which hampered and otherwise perfect race build up. Coming off the bike definitely isnt the time to get excited, its all about control, hydrating well and staying cool. Our plan was to block out the crowds and just get focussed on hitting a comfortable rhythmic early race pace. You simply have to find your race pace and lock into it and not get caught up in the noise and emotion coming out of T2. You also have to hydrate well and stay as cool as possible because at mile 16 you hit the natural energy lab for about 3 miles considered the toughest part of the run course. It baron, hot, humid and it seems like a long long way from the finish. But once through it youve only got 6miles left to the finish along the Queen K Highway. We had acclimatised her in the 8 weeks leading into the event with steam room and sauna protocol that worked well. Our run goal was simple, maintain race pace through to mile 20 and then give it everything from that point forwards leaving no juice left in the tank whatsoever. Unfortunately at the start of the run Simone's knee injury flared up, she had only done a few 15-20mins during race week as we couldn't risk re-aggravating it. She was so unlucky, a year of no injuries and then the day after finishing her last tough session before the taper it flared up out of nowhere. Despite this and being in considerable pain she battled on and never gave in showing incredible toughness and mental strength to pull off a 3:36 marathon. Not the time we wanted but in the circumstances I really dont know where she pulled it from. Her nickname isnt "Nails" for nothing. Simone managed to finish 1st Brit female age grouper, 2nd place in the 25-29 category, 5th fastest female age grouper and 31st female overall including the pro women. A performance a coach couldnt be more proud of. It was a performance born out of sheer guts, courage, hard work and an unbelievable determination to be a better athlete each and ever day. But theres still lots more work to be done and she knows she still has unfinished business out there. "I'll have a straight vodka coach"
Great coaches perspective of a tough race. Well done Simone! Thanks Anonymous, we're super proud of their results too! What a lekker story! Thanks for sharing , I was in the water and on the road with her- without breaking a sweat, the story was so well told. Congrats with a super performance. 2) mental preparation must be absolutely personal. 3) With your spirit, soul and the rest of you, you've got to be prepared to keep within yourself in the early stages, and to get out of yourself in the later stages! So good to read, Julian, thanks. Congratulations to an amazing partnership between coach and athlete. I had first hand experience of the tough conditions at Kona 2014 as a supporter. Last year after being the last swimmer out of the water (and 2nd AG finish) I was helped by Paul with some video analyses. This year I was ready to test any improvement but had to withdraw in the last week due to a chest infection and subsequent atrial fibrillation. I will never know. Well done all Swim smooth finishers. A brilliant blog,. Truly inspirational, one that would motivate 1 and all. Perfection between Coach and athlete. Julian , YOU DA MAN !!!!!. Simone - UNREAL> Congrats all round . Always a bed and Pool "down under" if ya need it !!!. Naki Boy from Down Under. Thanks for the kind comments guys, really pleased to hear you enjoyed it.